this little pond is about 20 feet above the river; currently at least six species of plants are blooming around (and in) it. Feeling down after a not-too successful photo shoot, Tuesday morning I headed back to one of my favorite spots, a bedrock terrace that has a wide array of summer-flowering plant species. 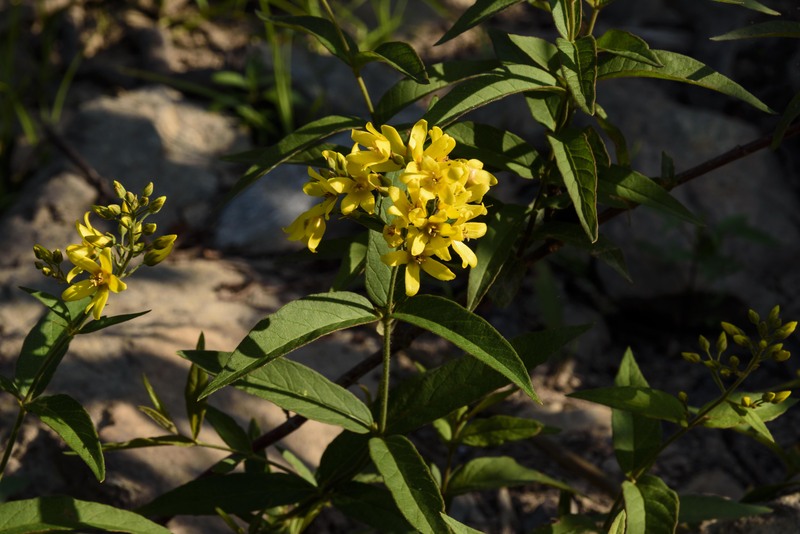 It was early enough that the rocks were casting deep shadows, and as I scrambled up and over them, the rising sun spilled gold onto this small stand of flowers. I visit that terrace often in the summer, but had no idea swamp candles were there! There’s just no substitute for good light. 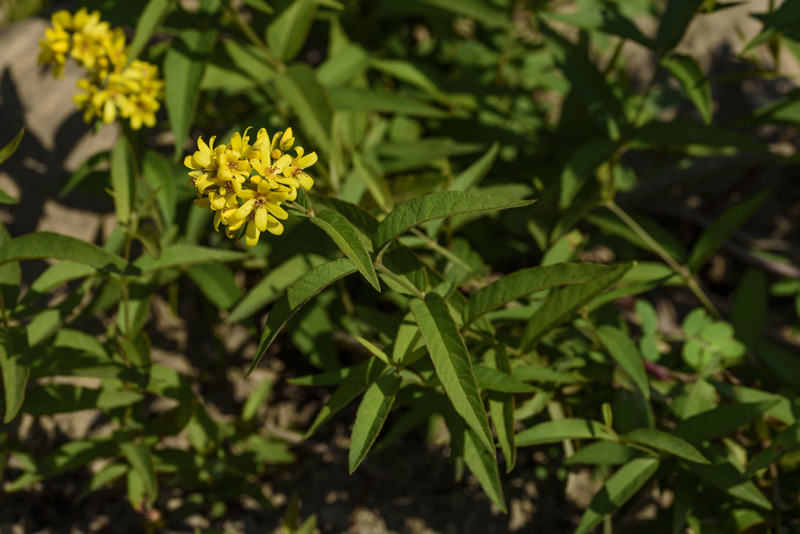 Lysimachia terrestris (Primulaceae) is one of about 15 species of Lysimachia in Maryland. Maybe half of those can be found in the Piedmont, and four of those are alien. 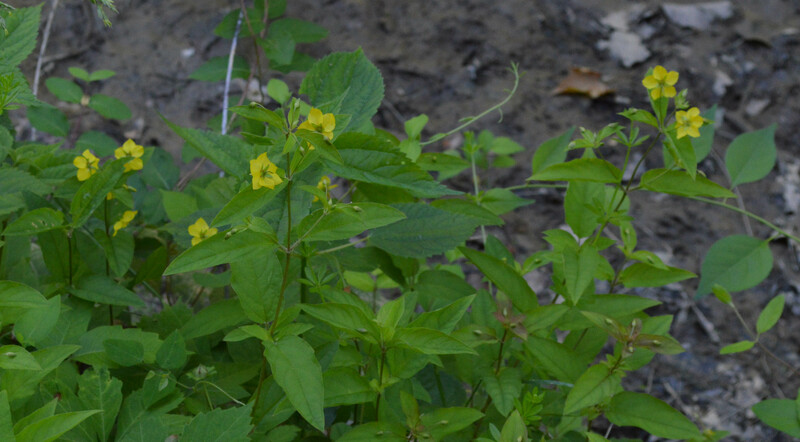 More often I see fringed loosestrife (L. ciliata), a dainty thing often overlooked, since the flowers are nodding. 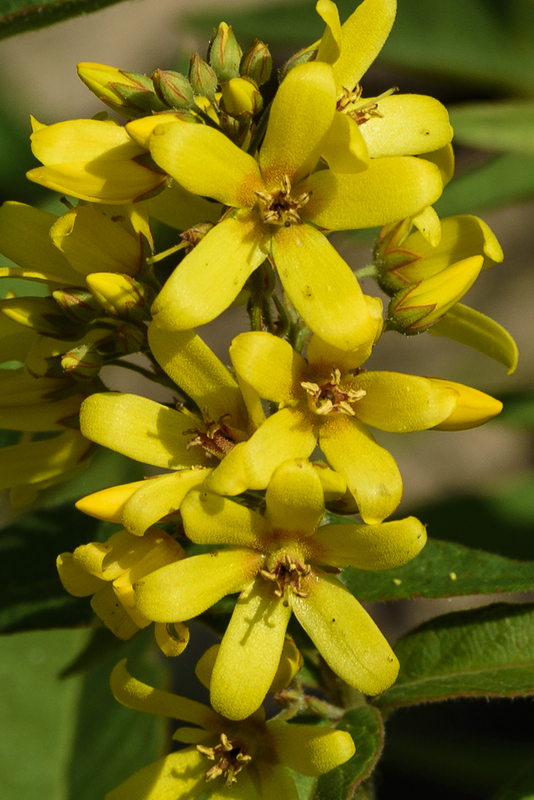 It likes drier soils and maybe more shade than swamp candles. 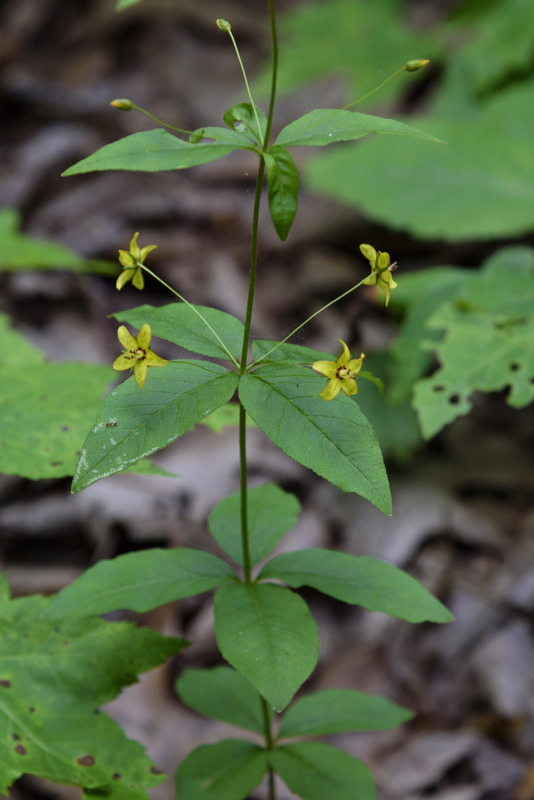 Another common one is whorled yellow loosestrife (L. quadrifolia). I saw lots these in June on Sideling Hill (the Ridge and Valley physiographic province), but there are records for it almost everywhere in the state. All of them were growing in deep shade. 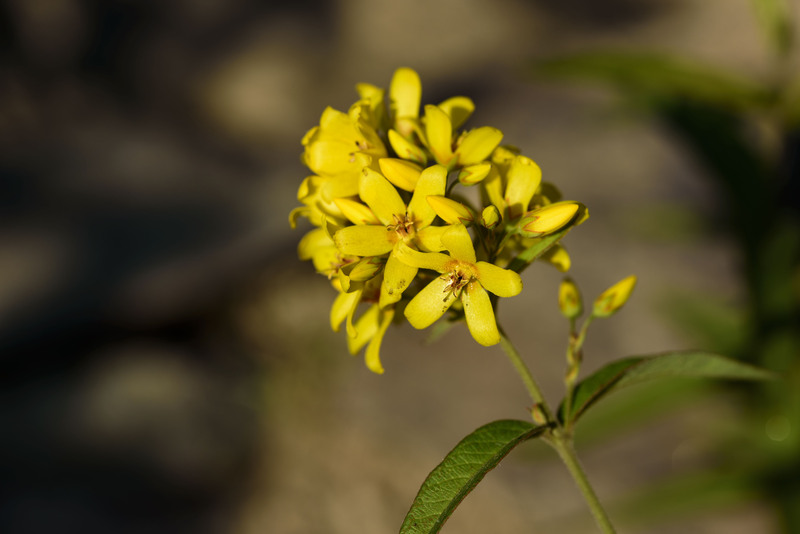 For a native loosestrife, though, this species is exceptionally showy. 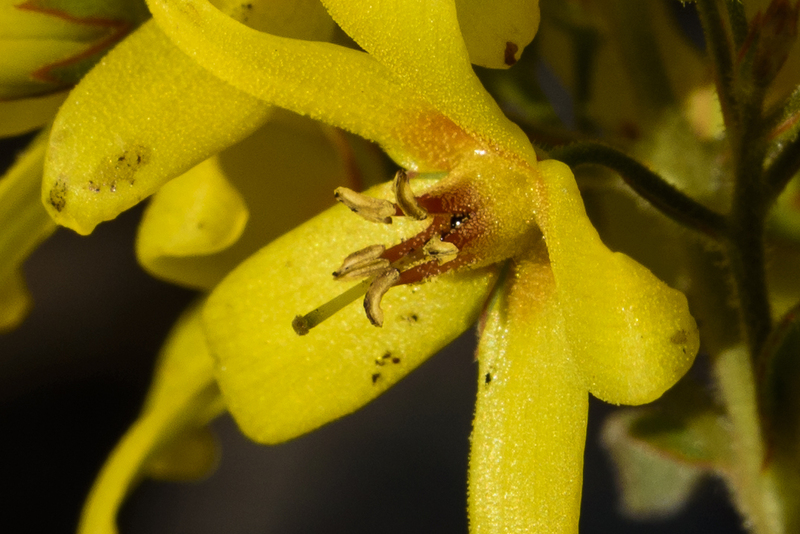 Swamp candles can be found primarily in New England, the mid-Atlantic, and the upper Midwest; they can also be found in scattered populations in parts of the South. They’re endangered in Kentucky and Tennessee. As the common name suggests, they like having their feet wet. 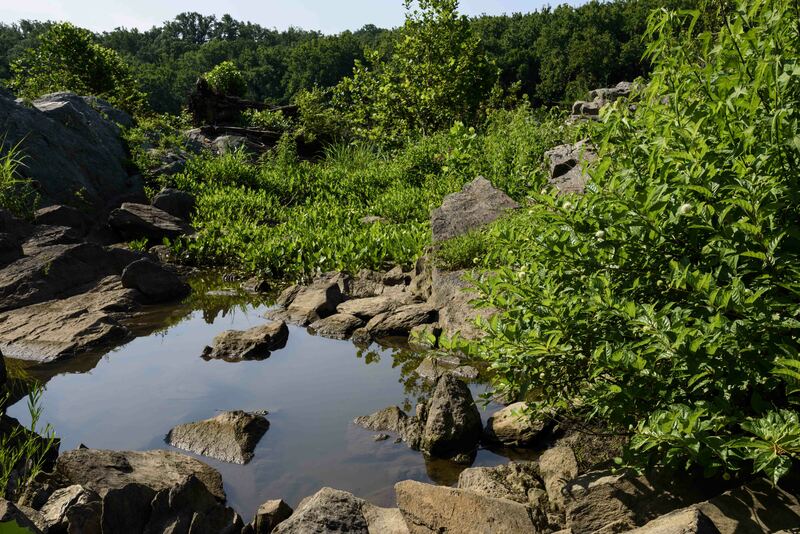 It’s a little unusual to find them in a place like this bedrock terrace; generally they’re along the banks of the Potomac, not as in-the-water as water willow, but close by, in areas that are probably under water early in the season, before river level drops. Nearby you might see monkeyflower, American germander, and halberd-leaved rosemallow; the first two are blooming now; the latter is just about to. 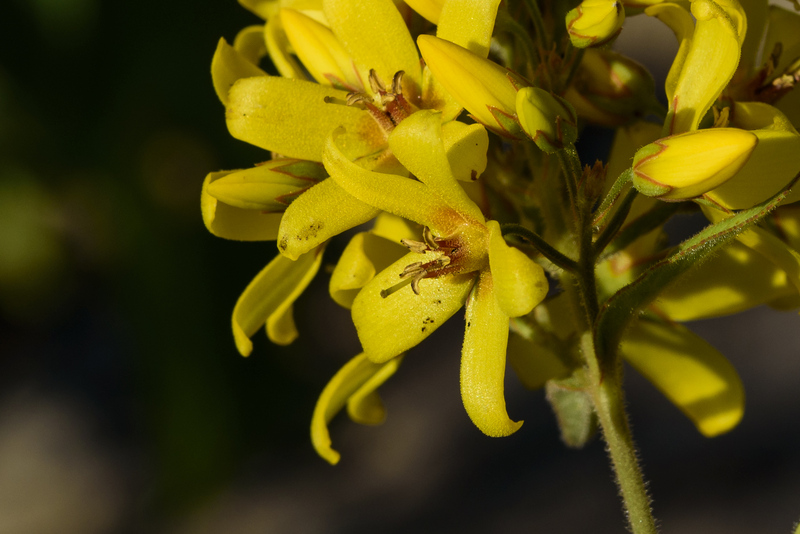 This entry was posted in Uncategorized and tagged bedrock terrace, Lysimachia, Primulaceae by elizabeth. Bookmark the permalink.